The artist I got to converse with this week is Shannon Leith. Her work was displayed in the Gavtov East .Her exhibit was called “Goodbye Gluten”. Since her display was in a small area, I felt like I could focus just on one piece instead of looking at various pieces. I saw a lot of bread images and desserts like cake. The colors reminded me of food like brown bread and a white frosted cake. 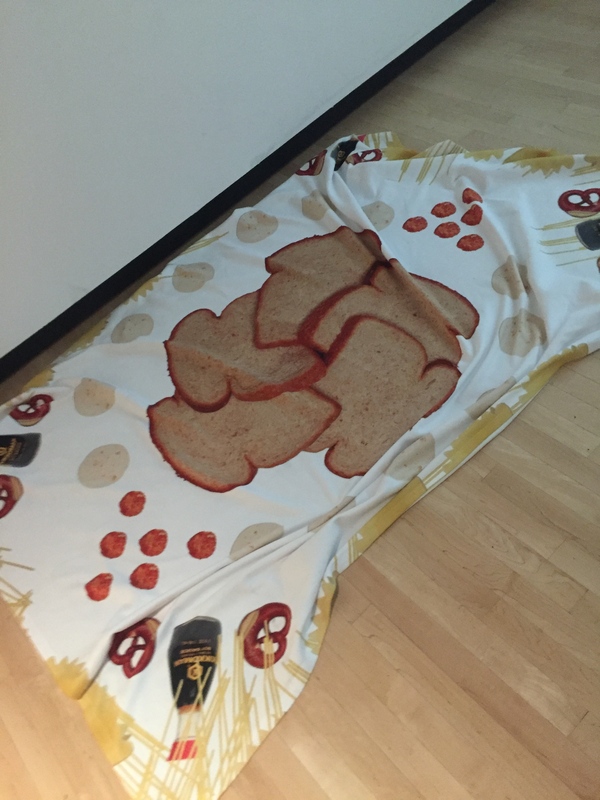 Her materials were Gluten free photograph, gluten free slideshow, gluten free sounds and gluten free blanket. 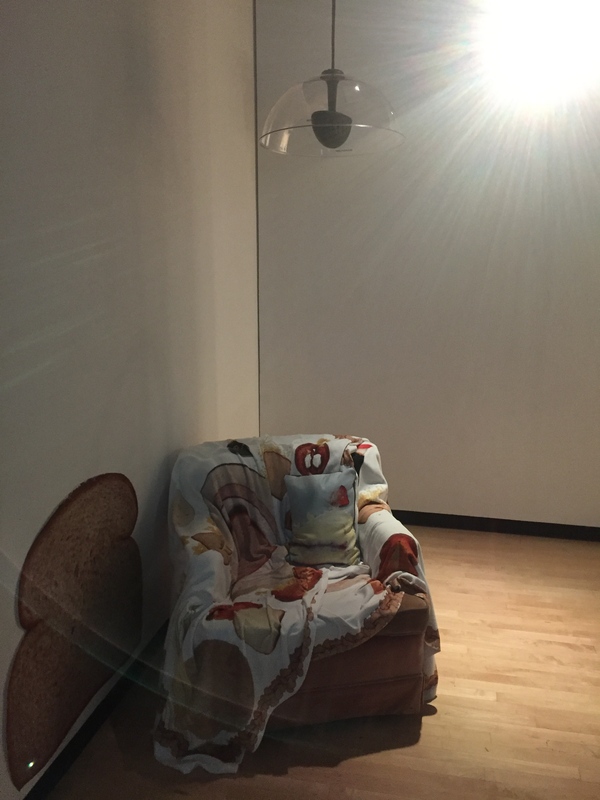 Leith wanted her viewers to interact with her work that is why she add the blanket, which had a huge bagel printed on it. Leith mention she wanted people to go in there and wrap themselves with the blanket to feel an odd sense of comfort while they looked at the slideshow. Her concept was gluten free. She wanted to show her viewers how it is hard to give up something you love. In this case she loved gluten, but sadly isn’t able to eat anything with gluten in it because she is allergic. 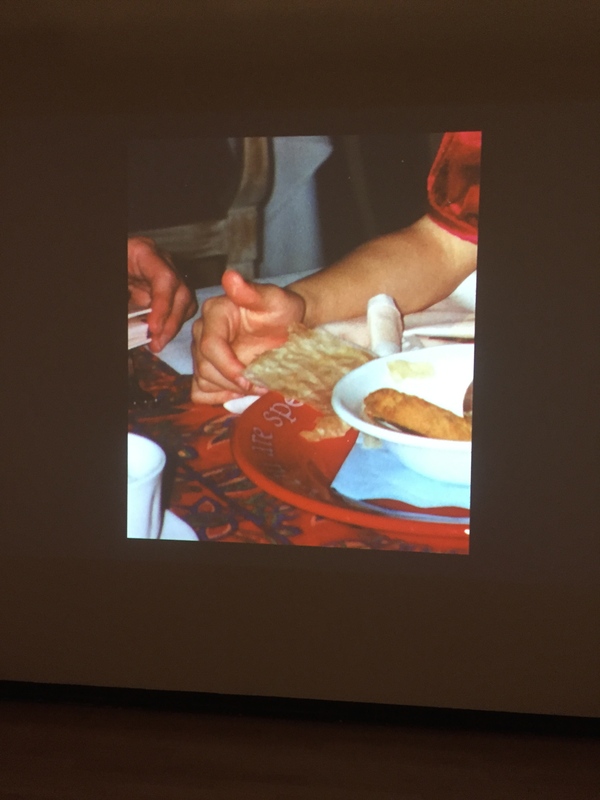 In her gallery she had a slideshow where she was showing pictures of her when she was little and was eating gluten foods. She wanted to make it seem as if you were going through break up and you would look back to your old photos with that person and just miss those moments. 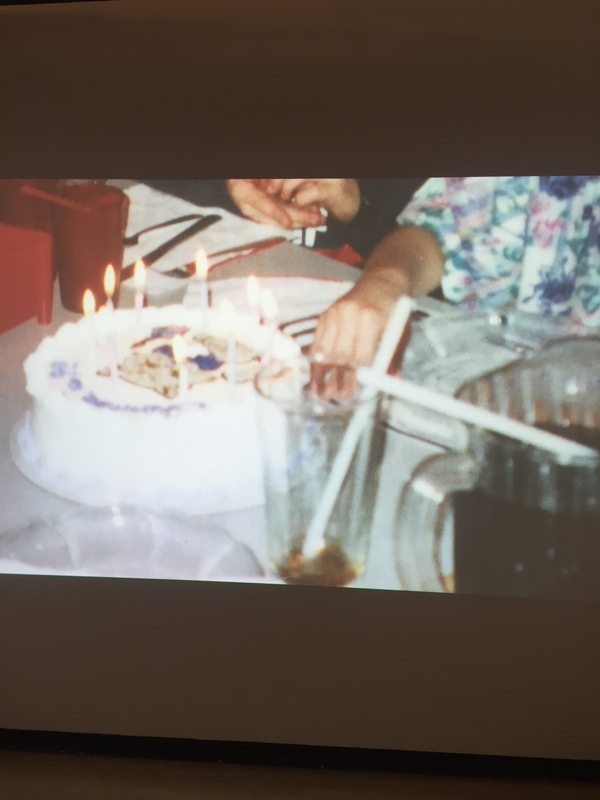 She has many allergies besides gluten, but she decided to focus on gluten since it was a big part of her growing up. Leith mention “Gluten is in everything and it feels like a loss”. Leith saids she wants to teach photography at a college level and keep showing her work in galleries. Leith changed schools because she loves the professors at CSULB. How cool is that? I really enjoyed her exhibit because it was my fist time seeing someone use food as their art. I just can’t believe she is allergic to so many foods.I don’t know how I would be able to handle that. I found it unique how she came up with the idea to use her allergies as an inspiration for her art piece. She is also one of the first artist that I conversed with who asked us what we thought her art work meant.